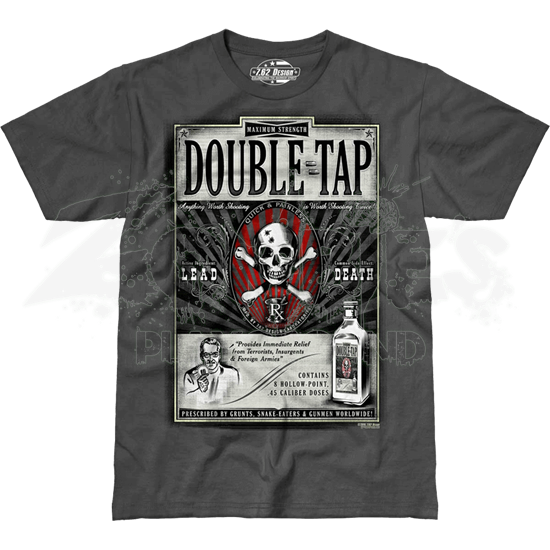 Offering a blackly humorous twist on the infamous shooting tactic, the Double Tap Premium T-Shirt depicts the technique as a medical remedy that Provides Immediate Relief from Terrorists, Insurgents, and Foreign Armies. 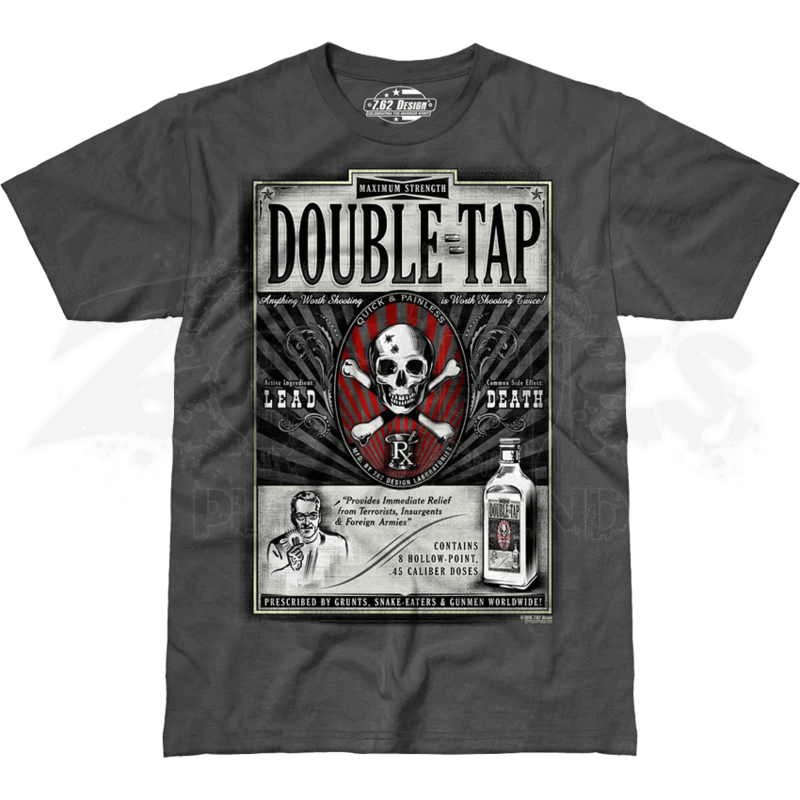 Styled like an old western ad for a Double Tap Elixir, the front print of this gun t-shirt features the words Maximum Strength Double Tap across the top with a pair of bullets. A slogan appears below, reading, Anything Worth Shooting is Worth Shooting Twice! In the center appears a double tap logo, which consists of a skull and crossbones with two bullet holes in its head. A graphic of a doctor and bottle of the elixir decorates the bottom of the design, adding the final details. Gun enthusiasts and military personnel alike can appreciate the grim humor of this novelty t-shirt.